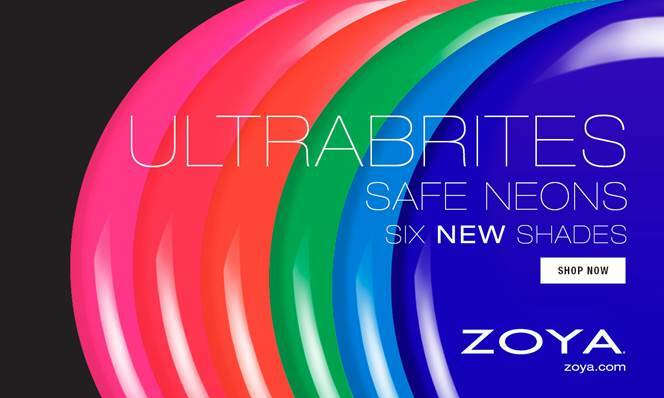 Never Enough Nails: Zoya Ultrabrites Preview!!! · Cana - ZP865: Zoya Cana is a bright neon fuchsia cream. · Bisca - ZP866: Zoya Bisca is a hot pink neon cream. · Evergreen - ZP868: Zoya Evergreen is an electric green neon cream. · Juvia - ZP869: Zoya Juvia is a summery teal neon cream. · Mirajane - ZP870: Zoya Mirajane is a classic navy neon cream.